Many users have come across the situation when their iPhone home button is not responding. Although it is a frustrating problem, it can be fixed at home if it arises due to software glitch. 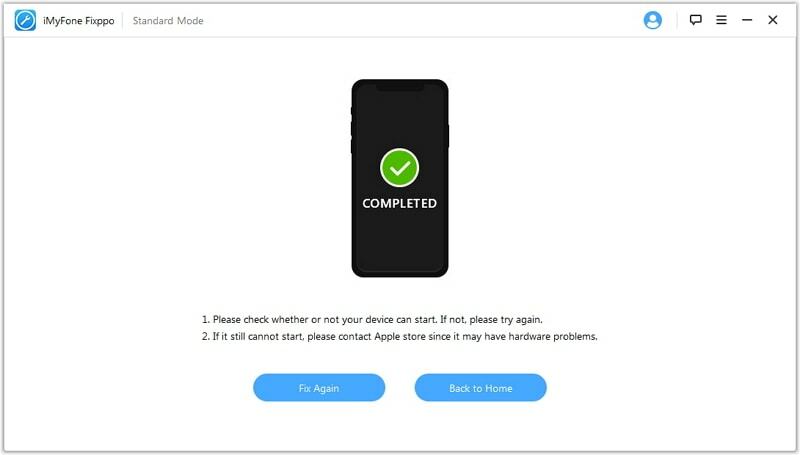 We are presenting you some fixes in this article which could possibly help you out when you found your iPhone home button is not working. Therefore, no need to turn to technicians at the beginning if your device’s home button refuses to work, just try these easy tips and troubleshoot the problem by yourself. Before you get panic and run to the Apple store, try cleaning the Home button yourself. Dirt, sweat, moisture due to sticky hands or anything can likely to make Home button unresponsive. This is not uncommon thing. Hence, try removing the possible dust deposited around the Home button. To do this, use 99% isopropyl alcohol. Firstly, turn the device off and take 2-3 drops of isopropyl alcohol and a cotton swab. Apply the drops of alcohol on the Home button and start removing it with the help of cotton swab. The alcohol will be capable of melting the dirt pollutants or any kind of grime. And the cotton will act as a remover and will clean everything. Wipe it properly and stay for approximately 15 minutes. Now see, if the iPhone home button not responding problem vanishes or not. Open any of the native app in your iPhone such as “Stocks”, “Weather” etc. 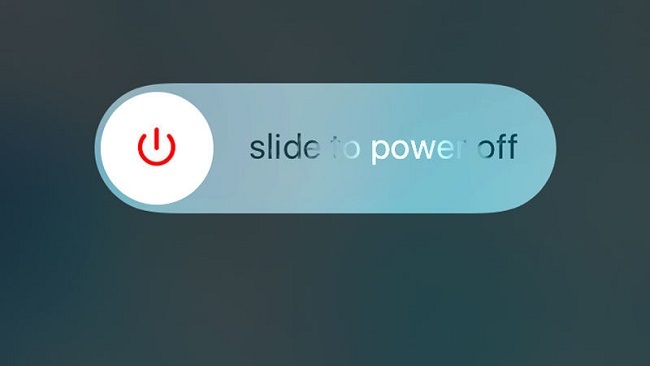 Now keep pressing the “Sleep/Wake” button until the slider saying “slide to power off” comes. Now, release the button and then start pressing “Home” button until the same slide disappears. Now check the Home button. You will find it responsive than earlier. This solution is not 100% working. However, it worked for many people, so you can have a try. Misalignment of device’s dock port can possibly occur due to regular connection with 30-pin connector. This is because the connector port has the Home button directly above it. If this is causing the iPhone home button not working, you need to realign the dock connector. In order to do that, take the connector and plug it into your iPhone. Apply some pressure gently to push down the 30-pin connector. Along with pushing the connector, press the Home button and check the problem gets finished or not. If you are concerned about your data and don’t want to lose it while fixing the problem, you can use iMyFone iOS System Recovery. This software is fully secured and trustworthy. Moreover, it is skilled enough to fix the iOS issue without any technician help. As a feature of the popular software iMyFone D-Back, it is recommended by Makeuseof. 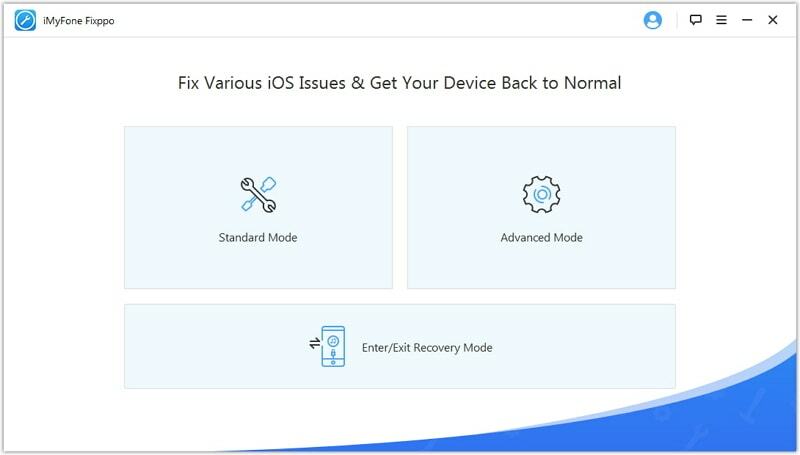 It can fix multiple iOS system issues like Apple logo, DFU mode or when iPhone restarts endlessly etc. It can work with all iOS versions (iOS 11 included) and iOS devices like iPhone, iPad, iPod touch. It can fix the iOS issues without data loss. It is trusted by millions of users and is a very reliable software. It takes no special instructions and also ensures to keep the data safe. Download and insall the software. Launch it on the computer and click the “Start” option from the main window. 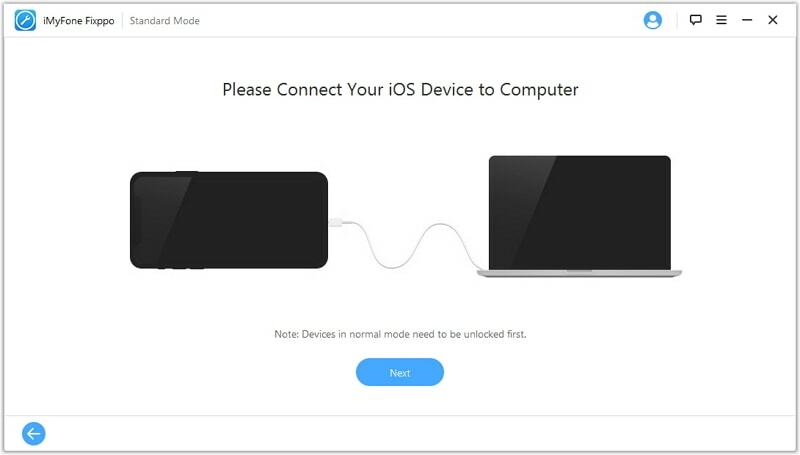 Now connect your device with the computer and click “Start” when the device gets detected by the software. Now, from the next interface, the program will select the compatible firmware package and you can download it by clicking “Download’ button. 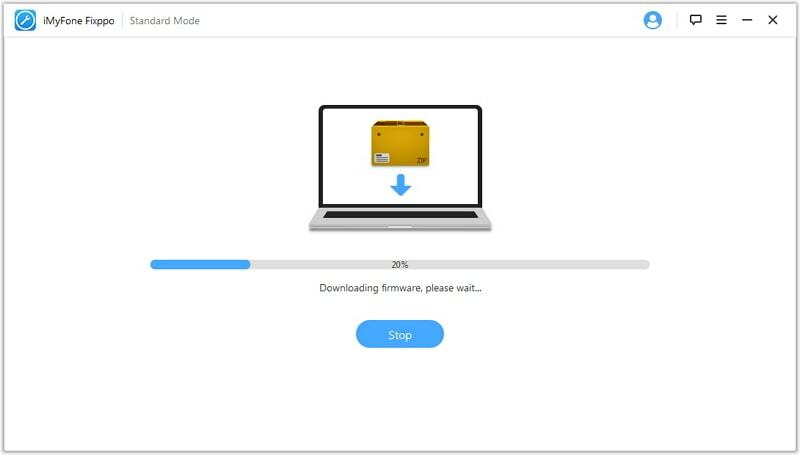 Wait until the firmware gets downloaded and once it will finish, your issue will be fixed automatically and the device will be the same as it was before the issue. People find themselves in big trouble when their iPhone’s Home button stops working. 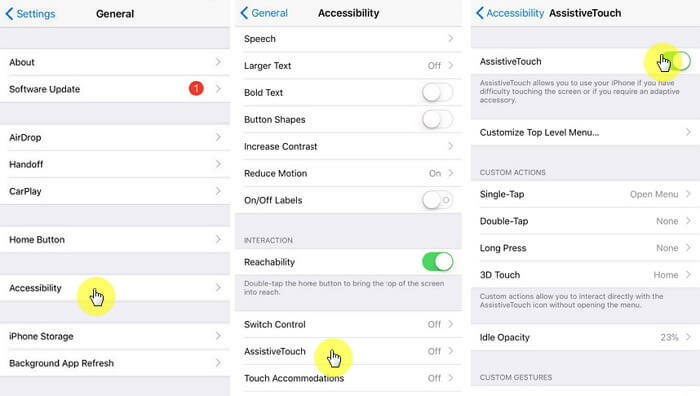 But thanks to iOS features, it offers “Assistive Touch” option which means one can enable on-screen Home button and can use the device even when iPhone home button is not responding. Although this is a temporary alternative but it relieves the users as they can use their phone when home button doesn't work, and can easily get back to their home screens. To enable this, tap on “Settings” > “General” > “Accessibility > “Assistive Touch” and switch it on. Also, the steps are different if you are using iOS 6. You can go to “Settings” > “General” > “Accessibility” > “Physical & Motor” > “Assistive Touch” and turn it on. After turning it on, you will observe a small circle on the screen. You can drag it anywhere on the screen where you feel convenient. You can tap on it whenever you need to press Home button. iPhone home button not responding problem is indeed an irritating problem. iPhone is a device having only one chief button i.e. Home button and one can’t stand the problem when that main button becomes unresponsive. Yet you can try the fixes enlisted in this article. We hope that your problem ended after reading this post.